Well, it might have been worse, but it might have been a good deal better. The Democrats gained a majority in the House of Representatives, as expected, but the Republicans managed to not only maintain their majority in the Senate and even gain a few seats. It seems that neither party really won this contest. Both sides gained a little and lost a little. It could have been worse for the Republicans. The Democrats gained 34 Congressional seats for certain making the new partisan balance in the House 227 seats held by the Democrats against 200 seats held by the Republicans. there are several elections too close to call just yet, but will probably go to the Democrats just as soon as they “discover” enough uncounted ballot boxes. In the Senate, the Republicans perhaps gained three seat, expanding their majority from 51-47 to 54-44, although their are three elections too close to call and subject to the recounts which somehow always favor the Democratic candidates. It seems that they hardly even bothering to hide their election fraud anymore. What does this divided government mean for the next two years? I would guess that not very much is going to get done legislatively. Anything passed by one House is likely to be rejected by the other and in this polarized political environment, there is no sign that the Democrats in the House of Representatives are going to be willing to work with the Republicans in the Senate and and like likely to be even less cooperative with President Trump. We are likely to see one investigation after another Trump’s alleged collusion with the Russians and anything else the Democrats can think of to paralyse the government and to delegitimize Trump. I don’t think the Democrats will try to impeach Trump. They might have if they had won the Senate but there is no chance a Republican controlled Senate would convict Trump. Their lunatic base will expect impeachment and it will be interesting to see how the Democratic leadership will explain the absence of any impeachment attempt. Given that the Senate is going to forestall any attempt by the Democrats in the House to advance some of their more extreme left-wing policies, we can expect more complaints about the undemocratic nature of the Senate, how unfair it is that Rhode Island or Wyoming has exactly as many Senators as California. Every time they lose, the left wants to change the rules. Somehow they are never concerned about how undemocratic the system is when an unelected judge makes rulings that have the effect of laws or overturns the results of a referendum. Congressional elections weren’t the only elections this year. There were also 36 gubernatorial elections. The Democrats picked up from 7-9 new governorships this year, depending on how two undecided elections are resolved, changing the balance from 33 Republican governors and 16 Democrats to 27-25 Republicans and 23-25 Democrats. The Republicans had more governorships to defend this year. Of the 99 state legislatures (Nebraska has a unicameral legislature.) the Republicans held a total of 67 chambers to the Democrats 32 chambers going into the midterms. The Democrats gained control of just seven chambers making the new balance 62-37. The Democrats still have not recovered from the disastrous Obama years in which they were devastated at the state level. Control of the state is more important than most people think. Even in this age of an overactive federal government, a good many of the laws we live under are created at the state level. Also, in many cases, the state legislatures are responsible for determining Congressional districts, or, gerrymandering. The party that controls the state legislatures has a better chance of controlling the House of Representatives.The state legislatures are also where the parties recruit candidates for higher offices. The Democratic losses over the last decade haven’t helped their chances in gaining those higher offices. So, all in all, the results of the 2018 midterm elections were mixed. The Democrats made some gains, but not as many as they ought to have. They probably would have done better if not for their turn towards left-wing extremism and tolerance of uncivil and even violent behavior. I hope they will learn their lesson and try to behave more responsibly, but they probably won’t. There is a special election coming up next week in Massachusetts for the Senate seat vacated by John Kerry when he became Secretary of State. The Democrats seem to be a bit worried since the polls are showing that the race is likely to be a close one. With EIGHT DAYS until the election and a terrifying GOP poll showing the race neck-and-neck — Markey (D) 45, Gomez (R) 44 — a Rove-linked Tea Party Super PAC has made a game-changing $700,000 ad buy in Massachusetts. We can’t let Rove do this to President Obama. If we lose seats like this one, Mitch McConnell will be one huge step closer to completely obstructing every sensible gun law, repealing Obamacare, and ruining Medicare. It will take $150,000 in the next 24 hours to protect the President’s agenda and stop Karl Rove from stealing this seat and others like it. The President needs you — can you help? I was not aware that the seat belonged to Kerry or the Democrats. I was under the impression that Senators were elected by the people of their state. In any event the Democrats have little to worry about. as far as anyone can tell, the two men have exactly the same position on issues. A Republican who isn’t scary (cnn.com) If he doesn’t scare them, he isn’t any good. Well, not just yet, but apparently Barak Obama has decided that the Executive Branch doesn’t just enforce the laws, but can make laws too. Since that is the case, we don’t really need Congress anymore. Obviously, I am talking about his decision to unilaterally cease enforcing immigration laws. Here are some details from the AP. 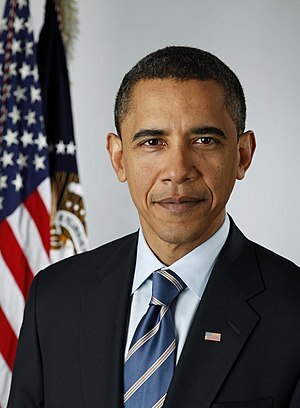 President Barack Obama suddenly eased enforcement of the nation’s immigration laws Friday, an extraordinary step offering a chance for hundreds of thousands of illegal immigrants to stay in the country and work. Embraced by Hispanics, his action touched off an election-year confrontation with many Republicans. Maybe it is the right thing to do. I am sure that Barack Obama can make a good argument for allowing these immigrants to remain in the United States. Nevertheless, this is the wrong way to go about it. We do not live in a country ruled by an autocrat who makes laws by decree. We live, or are supposing to be living, in a constitutional republic in which the laws are made by the representatives of the people and even the President lives under the rule of law. Obama should have introduced legislation into Congress to make whatever necessary changes in immigration law he felt was necessary and then lobbied hard for that legislation. Maybe he could have gotten it passed, maybe not. I am not arguing for or against the merits of Obama’s decision. I think it might well be the right thing to do. And, if someone, whatever his legal status, has served in our military, he surely deserves citizenship as a reward. I do object to the manner in which this has been done. I am afraid that this is part of our nation’s descent into outright despotism. It may be not too long in the future that the Republic will fall. The editors of the National Review Online have decide to endorse Richard Mourdock in his campaign for Senate against Richard Lugar in the Indiana Republican primary. One need not support formal term limits to recognize the existence of informal ones, and the tightening polls in the Indiana Senate Republican primary suggest voters there may be starting to think Senator Richard Lugar has been in Washington long enough. The conventional wisdom has been that the six-term incumbent Lugar is a safer general-election bet than his opponent, state treasurer Richard Mourdock. But the primary has heretofore shown Lugar to be out of touch with Hoosiers, an institutionalized Capitol Hiller who for a spell was ruled ineligible to vote in his own primary after a local board determined he hadn’t owned a home in Indiana in three decades. Though a subsequent ruling allowed Lugar to claim a family farm as a residence, the die is cast. Lugar has become a carpetbagger in his own state. By contrast, the low-key Mourdock’s mantra has been “capable, competent, and conservative,” a line he used last week after a fine performance in his sole debate with Lugar, and one that could describe our impression of the man after he met with National Review editors recently. Mourdock is popular in Indiana, having won reelection as state treasurer with 63 percent of the vote, and has impressed the grassroots, securing endorsements from a number of Tea Party groups and delivering a strong speech at CPAC. 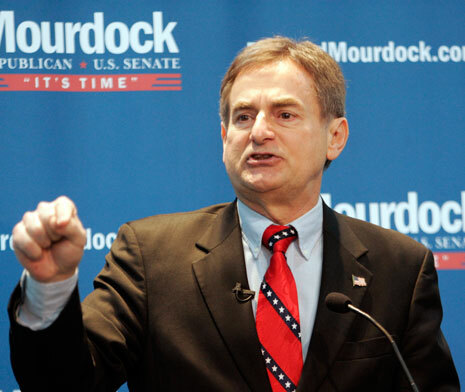 Like so many who have seen the light, Mourdock became a conservative in the age of Reagan; he is a successful oil geologist whose growing interest in thinkers such as Milton Friedman led him to run for Congress and eventually win county and statewide office. As treasurer, Mourdock has shown himself to be both fiscally prudent and possessed of a certain fighting spirit, most prominently when he (unsuccessfully) sued to recover $6 million the state’s pension funds had lost when the Obama administration’s auto bailouts arbitrarily rewrote a century of bankruptcy law. The debate between Mourdock and Lugar showed that latter still has the reflexes for the kind of homer politics that goes under the name “constituent services”; he assured the audience, for instance, that he is “thinking about corn and soybean prices every day.” But after 36 years in the Senate, Mr. Lugar evinces a political philosophy so subtle that in unfavorable light it scarcely seems to exist at all. Whether it is his limp defense of ethanol subsidies (which Mourdock opposes), his cold praise of the “scholarly” Ryan plan, or his seeming unfamiliarity with his own voting record on Social Security, Lugar cut the figure of a man grown more accustomed to the backslapping of the cloakroom than to the candid back and forth of the town hall. Even on foreign policy, where he is often praised as a statesman, Lugar lacks his opponent’s clarity on the United States’ role in the world. His opposition to the surge in Iraq was poorly thought out and, ultimately, wrong, and he was a champion of the New START treaty, which was a gift to Russia. Lugar is a decent man who has in the past been more reliable than not on a number of important conservative issues. Arlen Specter he is not. But we can do better. Mr. Mourdock strikes us, for instance, as a man who would not cast votes, as Lugar did, to confirm Elena Kagan and Sonia Sotomayor to the Supreme Court. Nor would he co-sponsor the DREAM Act, support the auto bailouts, or oppose the Vitter amendment to limit taxpayer-funded abortion, as Lugar did and does. For these reasons we support Mr. Mourdock in the Indiana Republican primary. We think he will make a strong candidate and a good United States senator. After Lugar’s long career in Washington, Hoosiers deserve new blood and Lugar deserves a happy retirement and a gold watch. We’d be happy to spring for one. I am glad to see this. Richard Lugar is a good man and an able public servant and no hint of scandal has ever been associated with him. Indiana should be proud to have had him as our Senator. Still, he is eighty years old and has been in the Senate for thirty-six years. No one can stay in Washington for that long without becoming out of tough with the people back home. It is a continual source of frustration for Conservatives that the people we elect to serve us become steadily more acclimated to the Washington culture and drift leftwards. Lugar is not as bad as many, but I think it is time for him to step down. Here is a bit of good news from The Hill. The announcement comes just hours after Judiciary Chairman Lamar Smith (R-Texas), SOPA’s sponsor, made a major concession to the bill’s critics by agreeing to drop a controversial provision that would have required Internet service providers to block infringing websites. This isn’t the end. They are probably planning to push through similar legislation in a year or so, when the public’s attention is diverted elsewhere. So, everyone who wants the Internet to remain free of censorship will have to stay vigilant. Here is some more information on just what SOPA and related bills are designed to do.